What is a lékol vivan - a vibrant school? 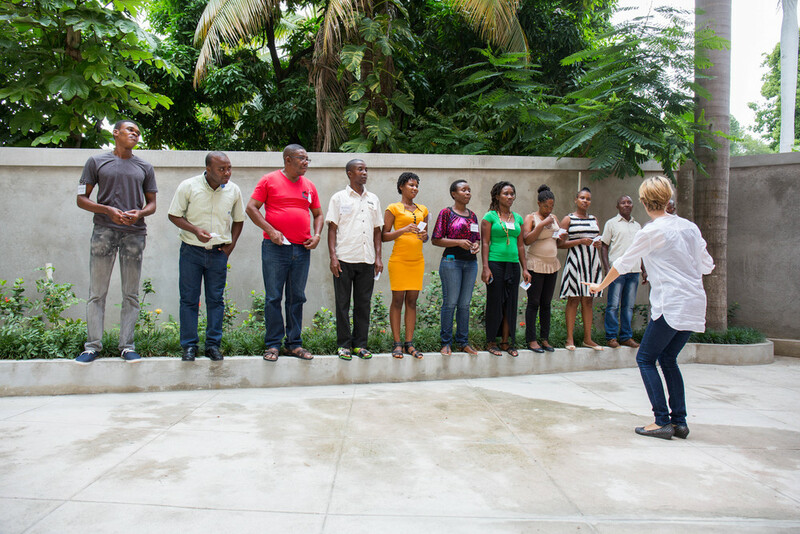 Last week in Port-au-Prince, eight Summits supervisors participated in the first intensive training sessions with InnovEd-UniQ, our teacher training partners. The week focused on developing the skills and techniques necessary to build lékol vivans - schools that inspire, challenge, and support students through high quality teaching and engagement. These supervisors are integral to our network of 41 primary schools in the Central Plateau. Each supervisor is assigned four schools to work with throughout the school year, providing professional support to improve teacher capacity, measure success, and increase student outcomes. 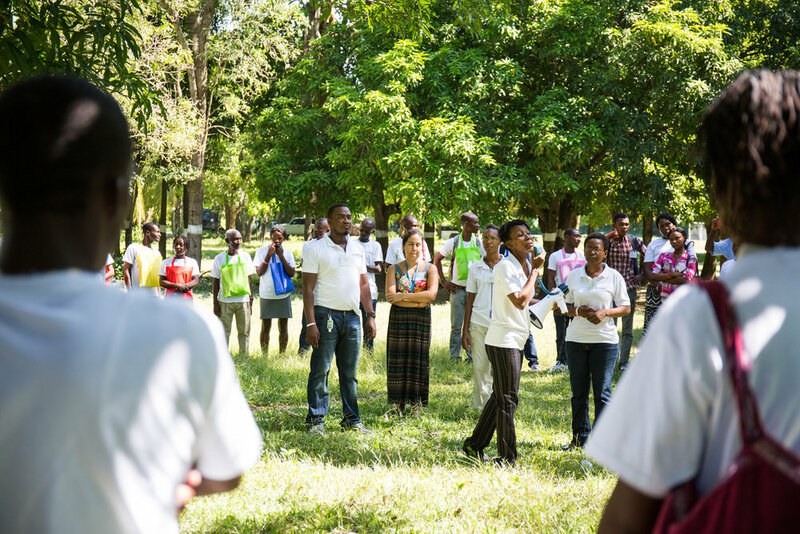 Our approach is inspired by the Partners in Health Community Health Workers program, a system created in the very same rural communities we work with in Haiti. 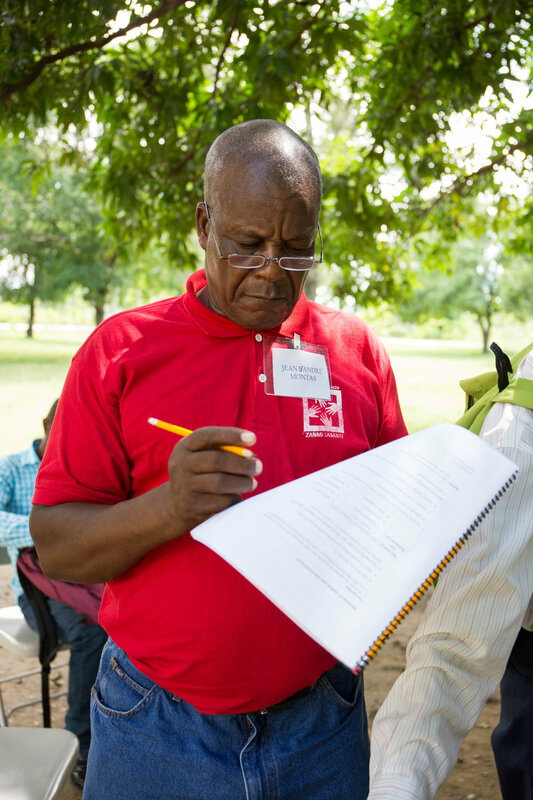 The program is designed to accompany the country’s existing health care system by training health workers to visit patient at home in order to connect them with the care, hospitals, and clinics necessary to ensure healthier lives and communities. In the education sphere, we imitate this successful approach through the work of our Summits supervisors. The approach is designed to buttress the work of the Ministry of Education and its strategic goals to improve teacher quality and increase student achievement. 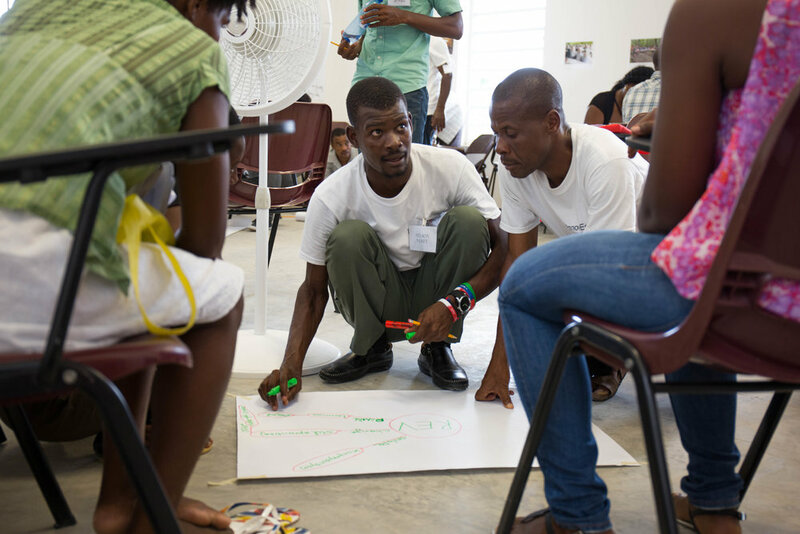 The week focused on increasing student engagement through participatory games and practical, field-tested techniques. The supervisors were also coached in data driven strategies and action plans in order to develop strong school-community relations. We’re incredibly lucky to be partnering with InnovEd-UniQ. 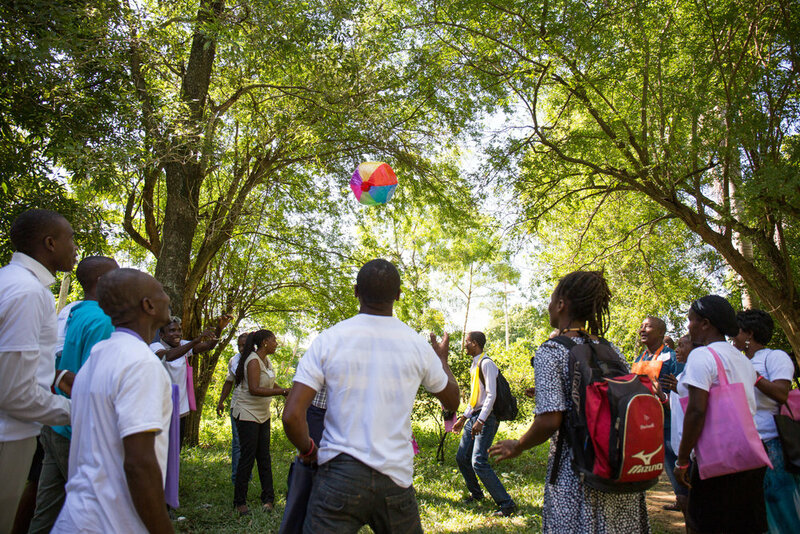 With its core values of engagement, connection, challenge, and reflection, we’re building lékol vivants across the Central Plateau. 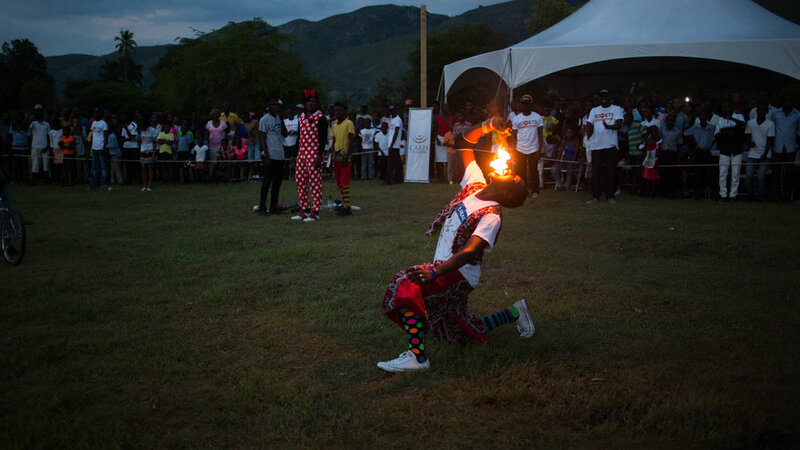 With the skills learned in Port au Prince, supervisors will return to the Central Plateau energized and focused on the school year ahead. 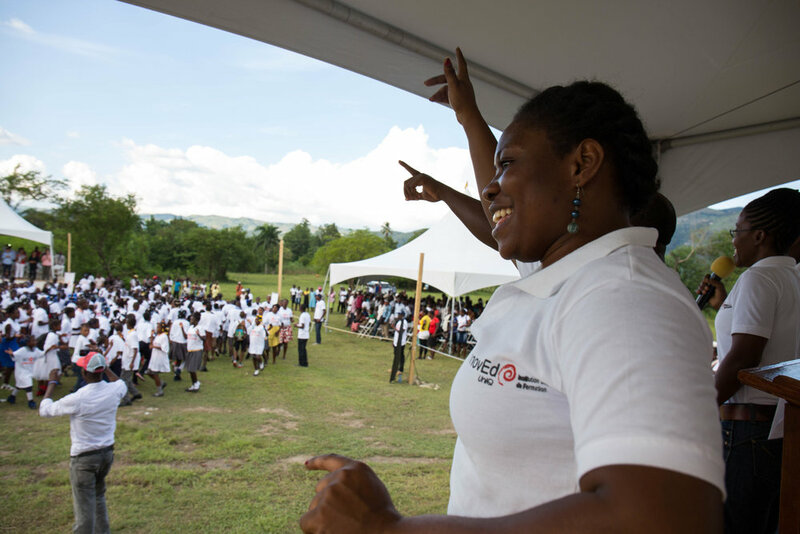 This story comes to us from Esther Ro, our Creative Content Producer in Haiti. 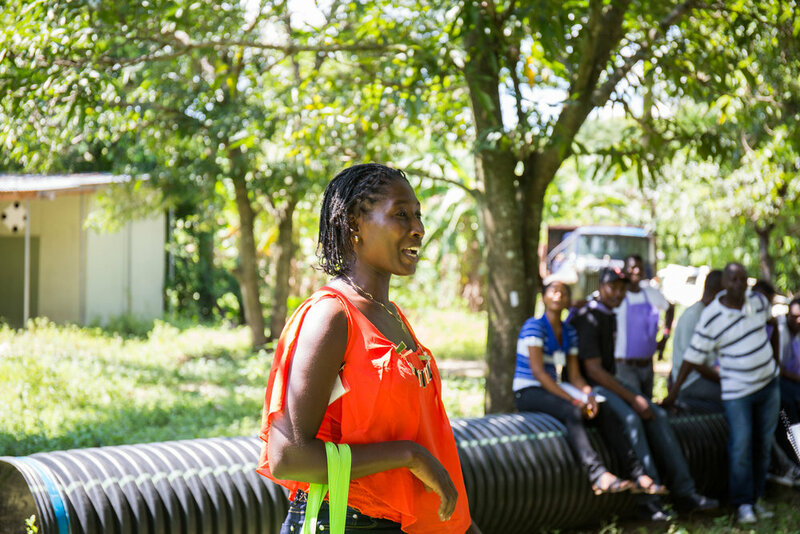 Esther has spent the last three months rolling around the Central Plateau with her trusty camera meeting the teachers, students, and communities that make up our network of schools. The first thing Michelet Houpette does when he wakes up each morning is review the lesson plan for the day. On the agenda today is practicing algebraic inequalities, introducing new French vocabulary, writing exercises in Creole, and a hygiene and health review. After refreshing his notes, Michelet quickly showers and eats a plate of spaghetti - a Haitian breakfast favorite - before making the journey to Ecole Bon Samaritain de Sarazin. Click here to see a map of the places Michelete has lived, worked and studied. Michelet’s fourth grade class consists of 86 students, so roll call is a lengthy ordeal. When every student is accounted for, he marks the tally in the top lefthand corner of the blackboard for Principal Thomas’s official record. With a firm but friendly voice, Michelet begins the day’s lessons. Bright, wide eyes follow his movements up and down and across the room. Hands wave excitedly in the air and a chorus of enthusiastic voices respond to questions posed to the class. One by one, students come forth to solve equations or conjugate verbs on the blackboard and correct each other’s mistakes. 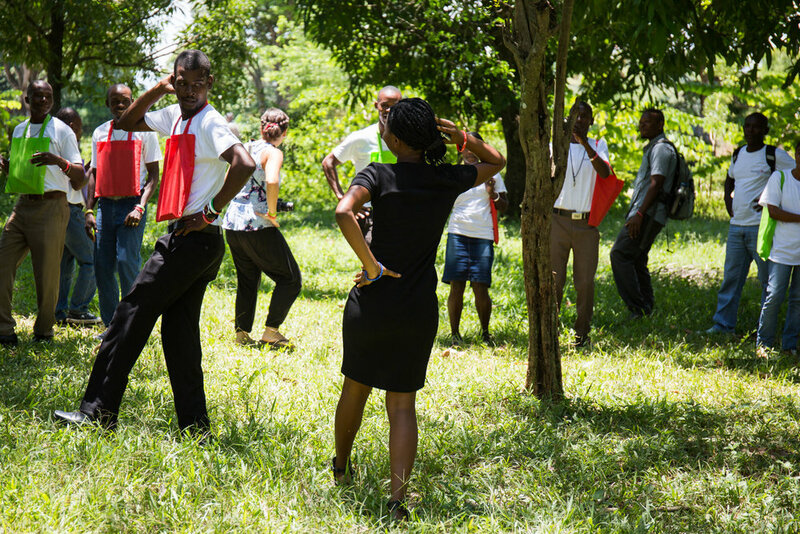 Before introducing the next subject, Michelet gets everyone’s blood pumping by leading them in a hyperactive sequence of head bobbing, arm waving and leg shaking that evokes smiles and giggles from even the most reserved students. The dismissal bell rings at one p.m. sharp, but Michelet’s work isn’t over yet. 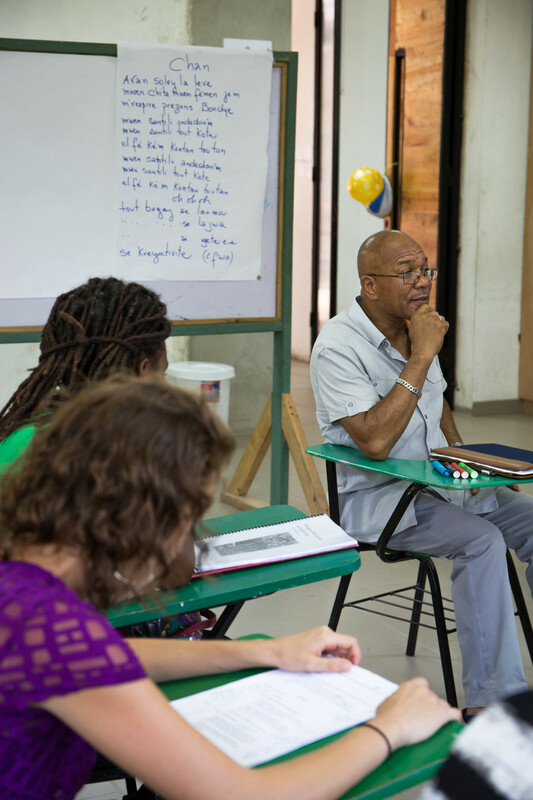 Three days a week, he gives additional math, French and Creole lessons to an advanced group of pre-teens in Lascahobas. Given his commitment to education, it’s hard to believe that Michelet fell into this profession almost by accident. 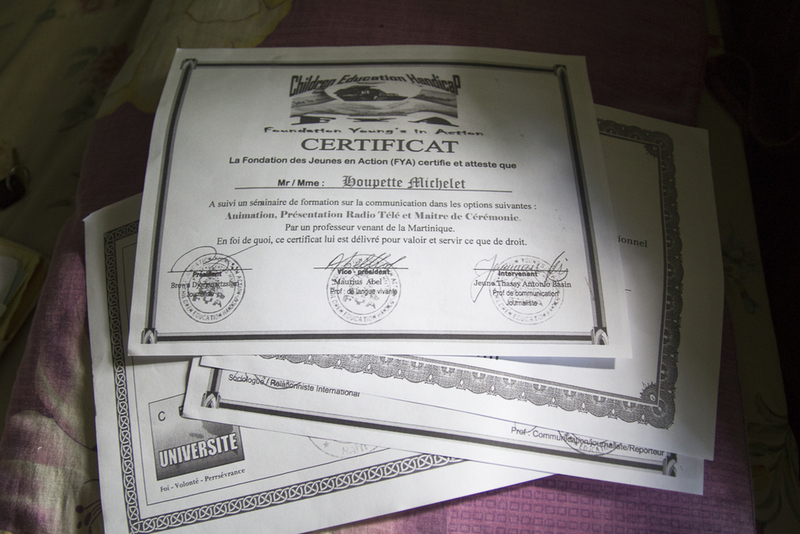 After completing secondary school, Michelet enrolled at Université Polyvalente D’Haiti in Port- au-Prince as an accounting student. Due to financial troubles, however, he was unable to complete his degree and returned to his home in the countryside, where he picked up a teaching assistant position as a way to earn some money. Two years later, Michelet was offered a formal job at Sarazin. 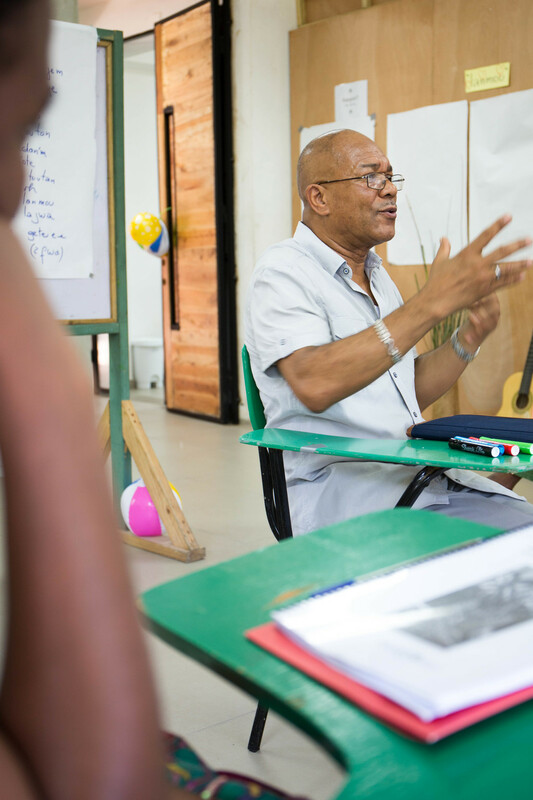 In order to become a more effective teacher, he completed a training program with the Digicel Foundation and earned a certificate in education last year. 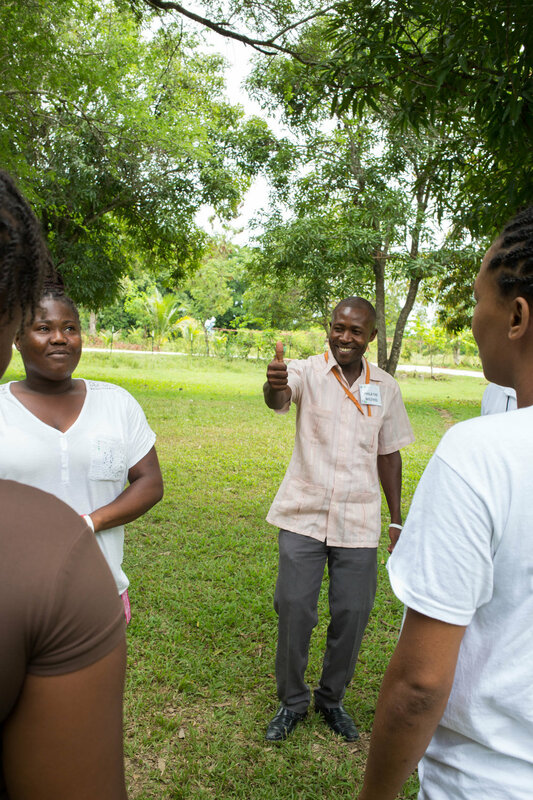 Michelet is also a member in the first cohort of Anseye Pou Ayiti, Teach for All’s Haitian network, through which he receives additional support, resources and individualized coaching. 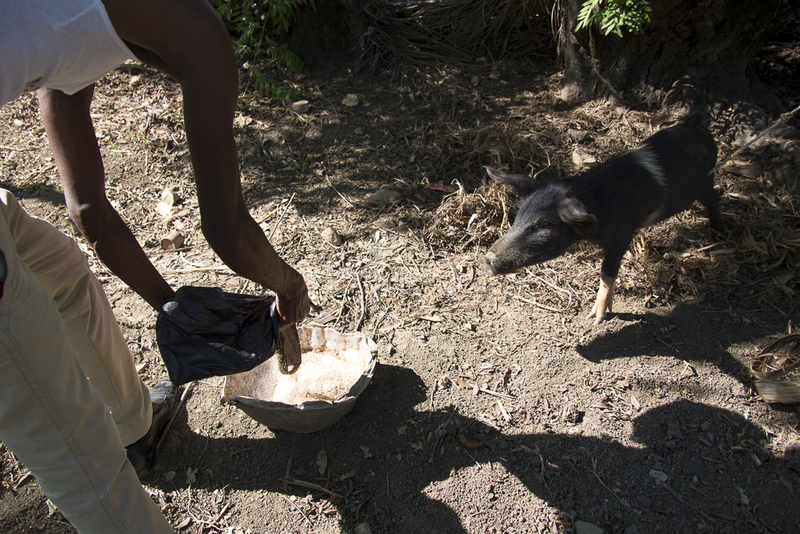 When he’s not teaching, Michelet tends to a modest peanut farm and to his livestock, a young goat and a pig, to supplement his teacher’s salary and take care of his mother. Before dinner, he’ll play a round of basketball with friends or nap. Occasionally during the weekends, Michelet gathers his leadership committee comprised of seven students to brainstorm, organize and execute community service projects. Michelet also spends a great amount of time expanding his own knowledge. He is currently a law student at a public college in Gonaive and spends half of his weeknights poring over case studies and legal texts. (“I had an exam last week. I’m waiting for the results, but I feel good,” he shares.) 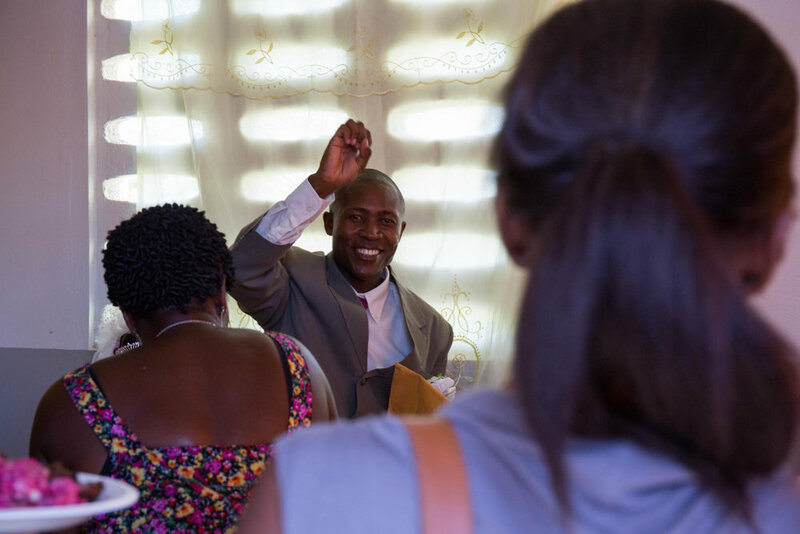 One evening is devoted to theology, and the remaining days are spent studying pedagogy as he hopes to eventually be able to train future teachers. “Education is critical in this moment,” Michelet says. 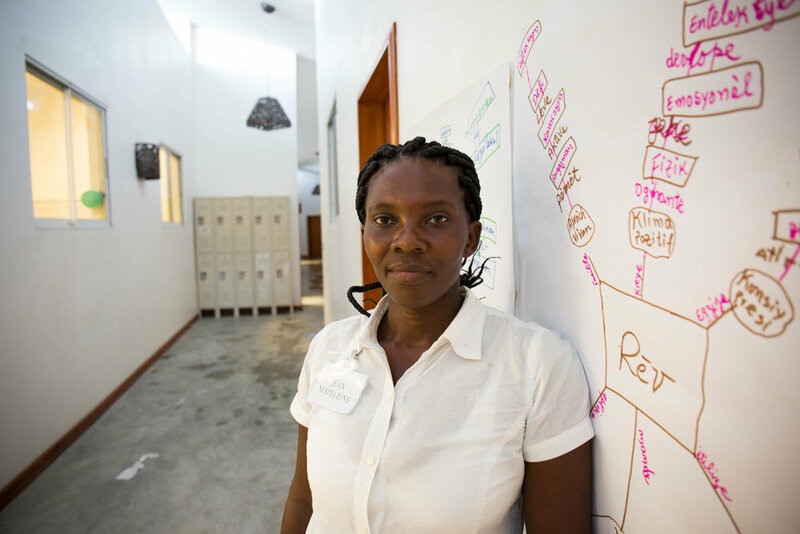 “Right now, Haiti has a weak education system, but together, we can change that." 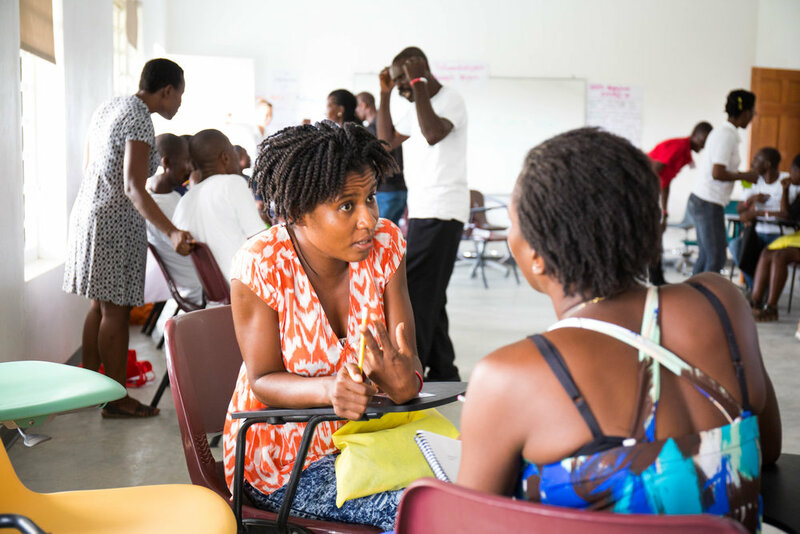 Thanks to our donors, teachers in the Summits network like Michelet receive innovative training, ongoing professional development, and competitive wages. Many of the schools in the Summits network are only accessible by foot and some require hours of hiking from the nearest road. The community school in Morne Mouton is one of these rural schools. From the moment I landed in the Central Plateau, I couldn’t wait to meet and explore these communities in particular. While some may balk at the idea of building a school so far from village or city centers, they are necessary in order to provide each and every student access to an education. In this way, these rural schools and communities represent a fierce dedication to education as the community leaders and parents that started these schools recognize that education is the first step in creating equitable, healthy, thriving communities, even in the most remote locations. You can spot Morne Mouton from the city of Mirebalais, where I live, high up in the mountains. But the school itself is a two hour hike from the nearest road - paved or otherwise. It had rained the previous night and it was a foggy with ominous gray skies the morning we set out to visit the school. I was a little worried that the paths would be muddy and feared that the weather wouldn’t cooperate. I thought, “Should we do this another time, when the clouds aren’t so threatening?” But no one else seemed too concerned, so on we went. The trails from the start were steep and rocky. Not fifteen minutes into our hike, we met a few local villagers, a woman and three men, who were loading their mules with sacks of sand and lumber. I was stunned to learn that they made the trip over the mountain and back three times each day. We let them pass before moving on. I wish I could say the views were amazing as we hiked along, but the dense fog made our vertical progress appear futile. About an hour and a half in, we turned a bend and could see the school, a peach-colored structure, perched a few summits over. So close, yet so far. At this point, we hadn’t come across any homes or other people. I wondered how far the students had to walk to get to such a remote location. Another thirty minutes later, we arrived at our destination: Ecole St. Michael. There was a small stone-and-mortar building adjacent to the school, and I was surprised to see classes held there. 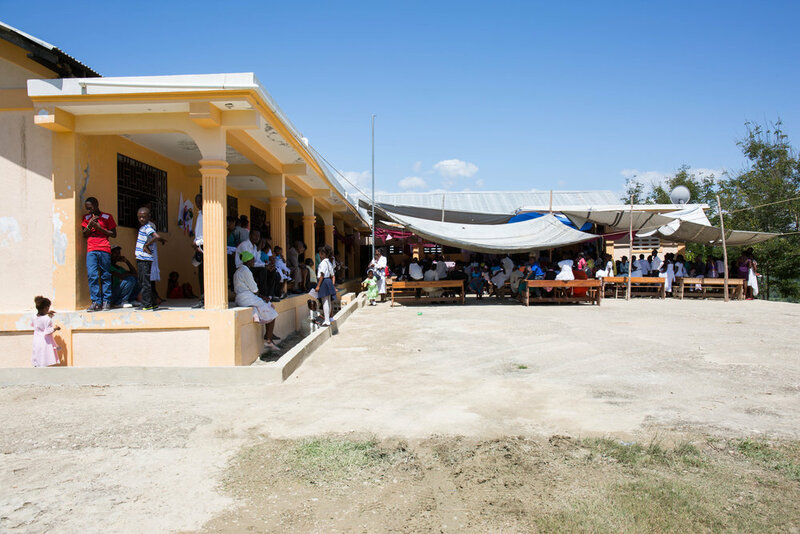 Upon walking around to the school, I saw that it was incomplete, desks and benches stacked atop each other in the courtyard alongside piles of metal beams and wooden planks. Principal Petit Maxo came out to greet us. When I asked about the construction, he explained that rain caused the classrooms to flood because the corrugated tin roofs were in poor condition. A local family had donated 15,000 gourde (~$250) to buy tarps to provide better shelter; staff and teachers came early to school to shake the excess water off before the start of class. The school was built in 2013, but these renovations had begun just two weeks before. In the meantime, school was being held in the church next door and two classes were meeting at the founder’s home a 15-minute walk away. Most students walk approximately 45 minutes to get to St. Michael. Although it is a long commute, 2nd grade teacher Dorzin Jeantho says this community is fortunate to have a school here, remembering his childhood days of walking for two hours to receive his primary education. Being a teacher at St. Michael is not easy. The current shared space is cramped and distracting and there is no clean water or electricity in the building. “Even though the situation is bad, I try to forget about all of that and think only of the community,” said 1st grade teacher Raymond St. Nelson. “My job isn’t just to teach, it’s to serve the community." 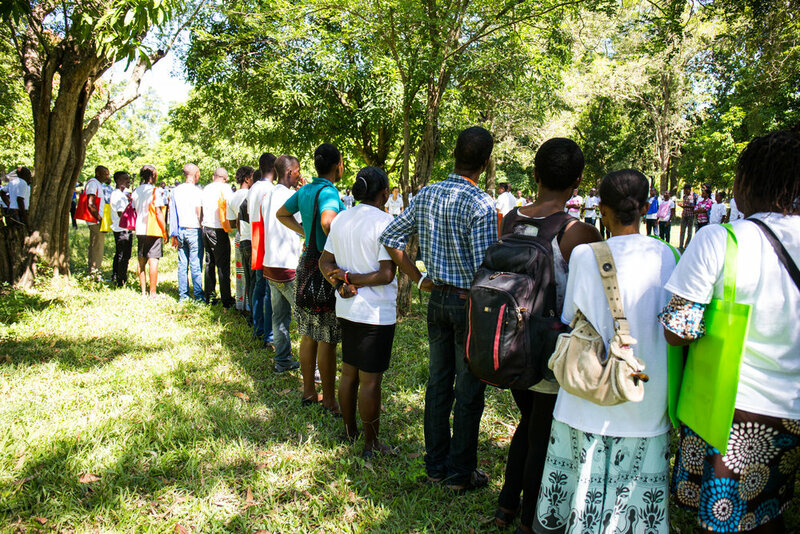 $50 will provide one day of intensive training for a teacher. Donate to equip a Summits teacher with the professional development and skills they need to engage and inspire their students. From UN Millennium Goals to celebrity endorsements, the world recognizes that education is a human right. Education impacts everything, no matter the opportunity: access to healthcare, poverty alleviation, nutrition, gender equality, economic development, education serves as the foundation to vibrant, healthy, and equitable societies. 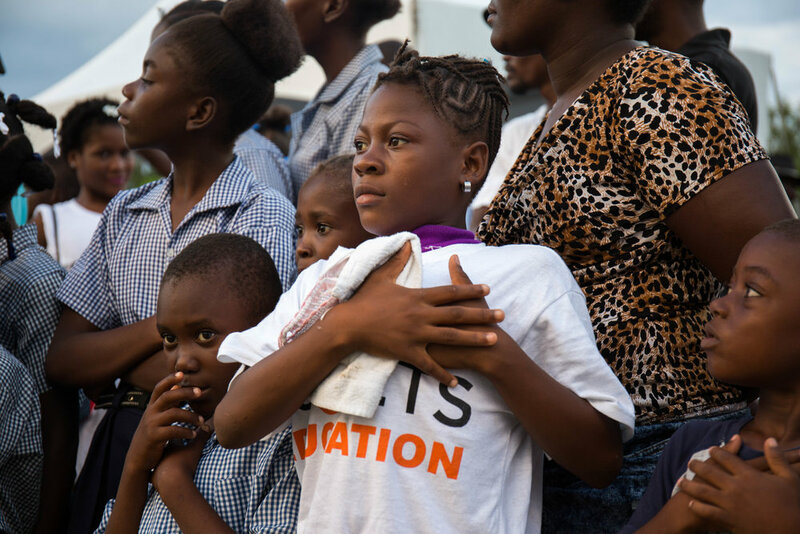 In Haiti, and especially in a region as critically poor as the Central Plateau, education serves as a pathway out of poverty. But access to high quality education cannot be delivered without access to high quality educators. Traditionally, efforts to advance education in the developing world focus on investments in things: schools are built, curriculums are designed, materials supplied, and finally, with whatever’s left, investments are made in teachers. This approach is upside down. We believe teachers are the most influential force behind a life changing education. Teachers act as catalysts for change not just in schools, but in the communities in which they serve. 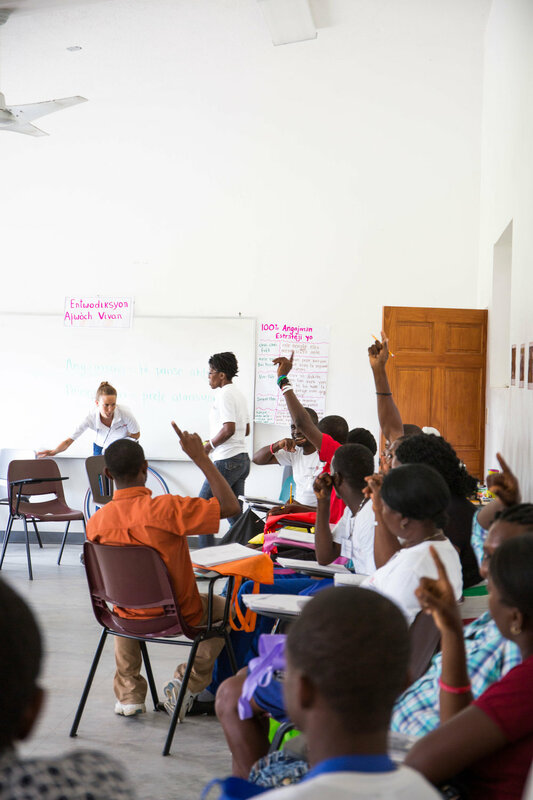 Summits works to transform education systems in the world’s poorest communities by providing teachers with intensive training, ongoing support, and competitive wages. 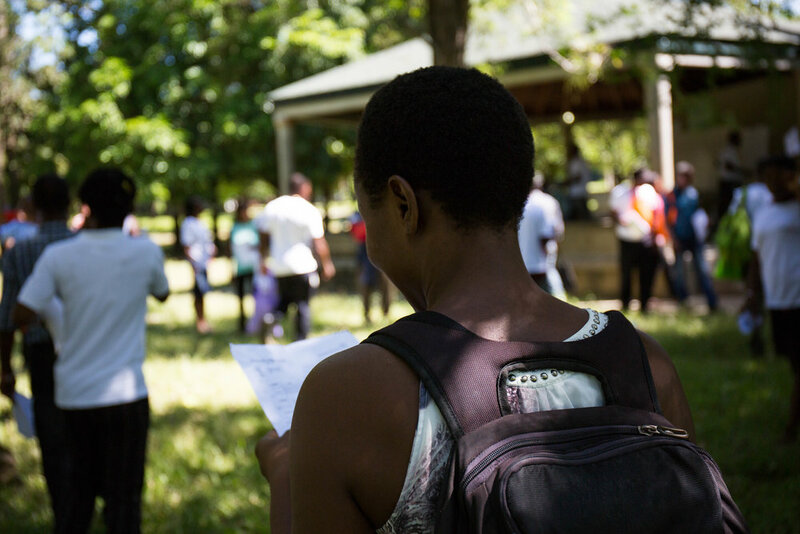 Then, we work with local communities and partners to provide other elements critical to student and teacher success including sanitation, infrastructure, and canteen programs. Only through genuine collaboration can transformative education take shape. Join us as we start with teachers. The story of Summits Education begins in a small classroom, full of earnest fifth graders, in a rural village in Haiti called Domond. The walls were freshly painted, the desks neatly arranged, and the students, sitting quietly in their pressed uniforms, were watching their teacher write on the board. My colleague Ludji and I were observing from the back of the classroom, both of us too tall for the tiny desks and chairs. “It's wrong." Ludji whispered to me, “The teacher is conjugating the verbs in French incorrectly.” We watched as the students copied the misinformation into their school books - a chorus of bright and eager students, most of them from critically-impoverished families. In that moment, we witnessed their futures made more vulnerable because 85 percent of their teachers lack basic qualifications. What is the difference between going to school and getting an education? 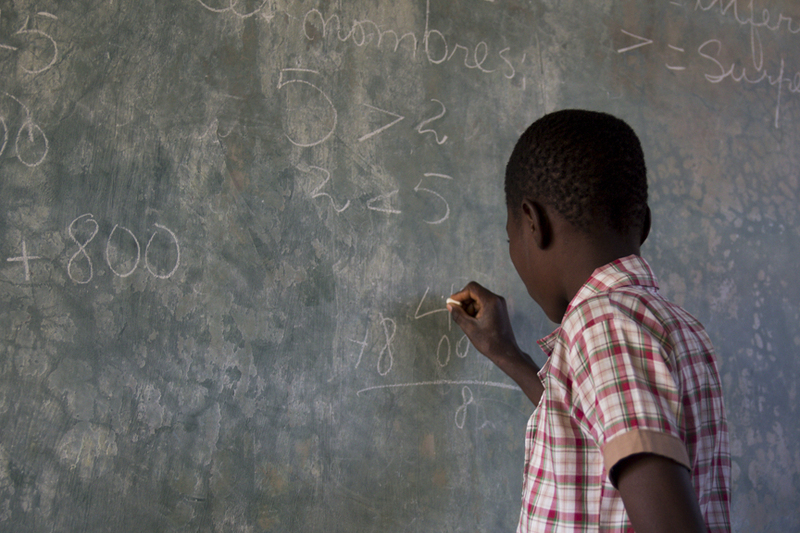 Despite overwhelming evidence that demonstrates that teachers are the most important factor in determining student outcomes, far too often the focus is on ‘stuff’ when it comes to education reform in the developing world: schools are built, materials supplied, and finally, with whatever funds remain, investments are made in teachers. It’s an approach that is upside down in its implementation and it is failing some of the world’s most vulnerable communities. 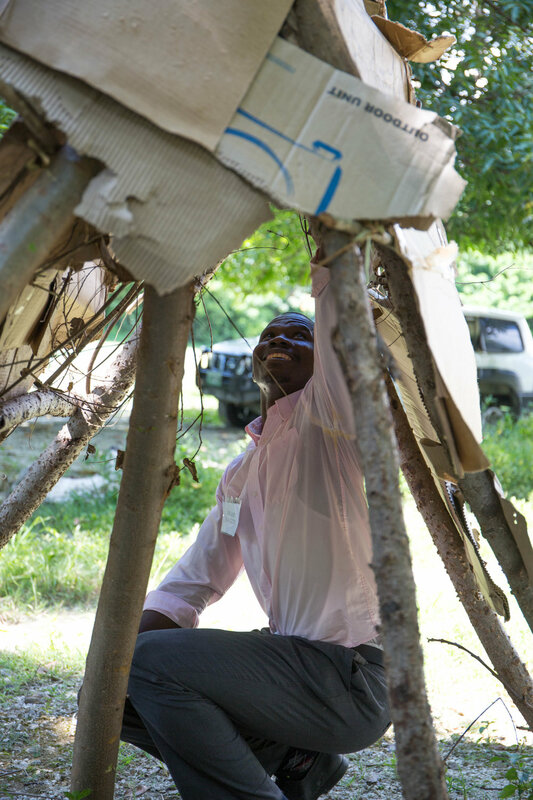 At Summits, we are developing a teacher-centered approach to transforming education systems, and we have begun our work in Haiti’s Central Plateau. Here, we are managing 42 primary schools and implementing teacher-training programs, in addition to constructing a secondary school for high-performing students. We work in partnership with the public sector and in collaboration with other organizations whose programs strengthen our efforts. Our goals for the coming year are ambitious and we will need your support. You are a part of a small and thoughtful group who recognizes the value in listening and learning before doing. Thank you for being part of this growing community. There are mountains ahead, but I see summits, too. P.S. We are gearing up for an official launch campaign in February, 2016. At that time, we will ask you to share our work with friends and family as we seek to build a community of supporters.